I had argued (below and the previous week) that GWAS tests are unreliable, and that there is no credible evidence that lengthening telomeres poses a risk of cancer. I still believe that GWAS tests are unreliable, but I have now found confirming evidence that associates longer telomeres with some cancers. This study of multiple myeloma begins with GWAS data, but then goes on to associate actual telomere length with MM risk. Multiple myeloma is a cancer of the bone marrow. This study does the same with lung cancer. This study was pure GWAS, but contrasted squamous cell cancer with melanoma. These are two types of skin cancer, but long telomeres protect against squamous cell cancer, while long telomeres are a risk factor for melanoma. I think these (and corroborating) studies constitute credible evidence that long telomeres increase the risk of melanoma, lung cancer, and multiple myeloma. For most other cancers and for heart disease, long telomeres are protective. I continue to believe that lengthening telomeres is a good strategy for life extension. 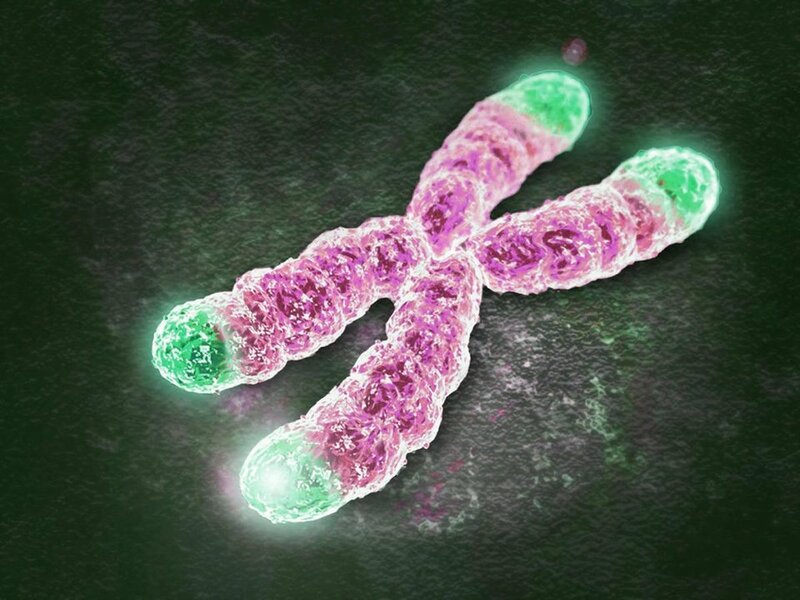 At least one mechanism for the protective benefit of long telomeres is easy to understand: Short telomeres lead to cellular senescence and SASP. I am still mystified by the mechanism by which long telomeres pose a risk. While I was at the National Biological Institute in Beijing this past July, I taught a seminar to biology grad students which I called “Intuitive Statistics”. I asked them to put aside the powerful software that would calculate all manner of statistical indicators automatically, and instead to play with numbers in Excel, where they could see what they were doing, monitor each step, and think about why the results came out the way they did. Already in 1954, Darrell Huff titled his all-time best-selling text, How to Lie with Statistics. Today’s menu-driven statistical software tempts the professional statistician to deceive himself first, others incidentally. The guts of the calculation are performed automatically. It’s so easy to obtain right answers to wrong questions. The professional division of labor between biologists and their statistical consultants adds abundant opportunity for miscommunication, and the spreading of responsibility among a large team of authors leads to the unintended consequence that no one feels the burden of personal responsibility that the reported results make sense. I wanted the students to begin to develop a feel for numbers that would inoculate them against the embarrassment of deep forays into their lab data that were fundamentally misguided. I knew that they would be working with professional statisticians, and I wanted them to be able to do back-of-the-envelope calculations that would tell them when the advice they were getting was outside the range of the plausible. Where the detailed answer differs from the back-of-the-envelope calculation, it’s important to understand the difference before assuming that the more sophisticated calculation is correct. A is positively correlated with B. B is positively correlated with C. What do you expect about the relationship between A and C? Of course, our first expectation is that A is likely to be positively correlated with C. Can you prove this? Can you think of a counter-example that disproves it? The answer, as it turns out, is that our expectation is only valid if the relationships (A,B) and (B,C) are quite strong. In that case, we are justified in assuming that (A,C) are likely to be a positive correlation. But it is not hard to come up with examples where the opposite is true. The correlations (A,B) and (B,C) can be highly significant, though less than 0.5, and (A,C) can be negatively correlated. Longer telomeres are positively correlated with certain genetic variants (SNPs). The SNPs are positively correlated with higher risk of cancer. A series of genetic studies [ref, ref, ref] claims, on this basis, that long telomeres pose a risk of cancer. This is especially problematic because the correlations are quite low – under 10% for each of the SNPs separately. The SNPs cause very small differences in telomere length, and the statisticians find very small differences in cancer risk. Then the software works automatically to “standardize” the result, and report what the cancer risk would have been if there had been a large difference in telomere length. For esoteric reasons of mathematics, the risk estimate is extrapolated exponentially. The result ends up looking quite scary. 5 times the risk of brain cancer and 3 times the risk of lung cancer for people whose telomere length is in the top 16% (1 sigma). The 2% with the longest telomeres (2 sigma) would be projected to have 10 times elevated rates of lung cancer and 28 times elevated risk of brain cancer. Such high levels of risk for long telomeres have not been observed in previous studies that look directly (not through genetic intermediates) for correlations between disease and telomere length. What these studies have tended to show is small increases in some cancers, decreases in others connected to telomere length. If people in the top 2% of telomere length really had 28 times the risk of getting brain cancer, then more than half the people with brain cancer would have extra-long telomeres and everyone with brain cancer would have longer-than-average telomeres. It is difficult to imagine that such a huge effect could have been missed. Phillip Haycock, first author of the large GWAS study I described last month, has been gracious enough to write to me generously and to comment directly on this blog page. Below, I respond to some of his comments (his comments in purple). In observational studies almost everything is correlated with everything, making judgements about causality basically impossible. For example, observational studies tend to find that telomere length is associated with everything-under-the-sun (from meditation to stroke). The way I think of it, the correlation motivates us to look for a plausible causal mechanism, and some are much easier to imagine than others. I don’t think anyone has proposed a theory that telomerase makes people more likely to take up a mediation practice. Common sense tells us the causal order is that meditation promotes release of telomerase, not vice versa. In the other direction, when we find that short telomeres now are predictive of disease several years down the road, we don’t argue that the future disease has reached back in time to cause telomere shortening. So there are two possibilities: A) Short average telomere length usually means a high number of cells with critically short telomeres. These cells become senescent, and spew out inflammatory cytokines. The resultant inflammation is already known to be a cause of cancer, AD, and cardiovascular disease. B) The body has suffered infections and toxins in the past that have prompted extra cell divisions, shortening telomeres. The same infections and toxins have raised the risk of cancer, AD and CV disease by a mechanism that has nothing to do with telomeres. Clearly, the presumption is in favor of (A), that short telomeres contribute to the diseases of old age. All the steps are filled in and previously established. This doesn’t disprove (B), but it establishes the burden of proof. For those who want to argue in favor of (B), the next logical step is to do a prospective study including as independent variables both telomere length and the infections, toxins, pollution, smoking, etc that could cause both telomere shortening and disease risk. This is exactly what was done in the Rode study two years ago, and they found that short telomeres were still correlated with cancer and (especially) CV disease even when correcting for history of infections and smoking. In fact, the correlations with infections and smoking were far weaker than the correlations with telomere length. At this point, (A) looks very strong. In contrast, genetic variants do not generally correlate with classic environmental and lifestyle factors (predicted in theory by Mendel’s laws and observed in practice). 1) In contrast to (A) above, there is no plausible mechanism offered. The mechanism is never spelled out, but here is what I think is the implicit hypothesis: A pre-cancer cell is replicating and mutating. Because its telomeres are slightly longer than others, it has more time to mutate before it runs out of telomere and dies of cell senescence. Therefore the pre-cancer with long telomeres has a higher probability of neoplastic conversion than a cell line with shorter telomeres. I think the reason that this hypothesis remains implicit and is not spelled out (let alone tested with computational models) is that it doesn’t make sense quantitatively. The difference in telomere length from the most powerful of these SNPs is a fraction of 1%. This corresponds on average to much less than one cell division. It’s hard to imagine this having a detectable effect on cancer risk. 2) The correlation between each of these SNPs and telomere length is very low, accounting typically for less than ½% of the variance in telomere length. SNPs generally have more than one effect. So it is easy to imagine that some of the SNPs have a direct effect on cancer risk. 3) The direct effect doesn’t have to be very large. All of the observed increases in cancer risk associated with the SNPs are under 25%. Odds ratios less than 1.25 are generally discounted in epidemiology, and for good reason. 4) Another plausible explanation for the observed correlation is that SNPs are not randomly distributed through the population, but are significantly correlated with many other genetic, geographic and cultural variants. Let’s spell out the premise of “Mendelian randomization”: Literally, it relies on the assumption that nothing that could be associated with cancer risk is at all correlated with the “telomere SNP.” Of course, this is very far from being true. As Haycock says – everything is correlated. This kind of thing is a hazard in all forms of epidemiology; but what makes it more treacherous in this case is that the effect you’re looking at is so small. OR<1.25. This can be caused by literally thousands of different associations unrelated to telomeres. For example, these SNPs may be associated with more people from cultures that have higher rates of smoking; more people of African descent; more people who come from Northern climates… Haycock doesn’t control for any of these possibilities, and, of course, neither do any of the other authors of GWAS studies. Controlling for other variables is supposed to be unnecessary because of “Mendelian randomization”. But in reality, Mendelian randomization is far from complete. Observational studies of directly measured telomere length provide opposite conclusion. The only observational study that I referenced was Rode, because it’s the only one I have read carefully, and because it is the largest (65,000 people), it uses a homogeneous population, and (crucially) telomere length is measured before onset of disease. Short telomeres are associated with older ages. In any study that includes a range of ages, there is a choice of ways to tease apart the effect of age. Age always wins, but some statistical methods will make it look like age is the whole story, while others will say that short telomeres are a risk independent of age. This study found a strong correlation between short telomeres and incidence of cancer, also of short telomeres and risk of death from cancer. After correcting for age, the association with cancer incidence disappeared, but the association with death from cancer remained strong. I can’t see how this is “in strong agreement” with your claim that short telomeres protect against both cancer incidence and mortality. This is the Rode study, about which I have written extensively. A small part of the Rode study used GWAS methodology, and its conclusions were, unsurprisingly, more similar to other GWAS studies than to conclusions in the main section of the same paper. This possibility would be a violation of assumption 3 above – that the SNPs affect cancer exclusively via their effect on telomere length. Horizontal pleiotropy is a well known genetic phenomenon that could induce such direct associations between SNPs and cancer that bypass telomere length. This is the most important potential limitation of Mendelian randomization studies. We observed some evidence for this in our results and we admit in the discussion that we cannot entirely exclude this possibility. Remember that all it takes is a very small direct effect to mimic the very large indirect effect. “The new studies require very large implicit extrapolation that is not necessary in the old studies. The 50 to 1 extrapolation is very speculative, and it magnifies the noise along with the signal.” We standardise the results to reflect a 1-SD (standard deviation) change in telomere length and therefore you are correct that we are extrapolating beyond the observed effect sizes of the SNPs. However, the extrapolation you describe is more like a 7 to 1 than 50 to 1 extrapolation because the average effect size of the SNPs is 0.13 SD units per copy of the telomere length raising allele. Thanks for this information! I didn’t have the number 0.13 when I was writing the column last month, and in fact I assumed 0.05. Working backwards from reported odds ratio of 5.27 for brain cancer, I said they must have started with 1.08; working backwards from reported odds ratio of 3.19 for lung cancer, I said they must have started with 1.06. These numbers should be corrected to 1.24 and 1.16, respectively. These numbers are still very low. Epidemiology is well-known to be full of uncertainties, and an odds ratio of 1.24 is just near the lower edge of what might be considered actionable. For the genetic telomere studies, however, it is the highest risk ratio they observed (reported as 5.27 times extra risk for brain cancer). Question for Dr Haycock: Is 0.13 sigma the average increase (or decrease) in telomere length for subjects in your study? How was the 0.13 computed? Is it consistent with Table 1 in your paper, in which the highest percent of variance in telomere length explained by any one SNP was less than 0.5% ? You write about GWAS and Mendelian randomization as if they are the same techniques. They are actually quite distinct methodologies and analytical approaches. In GWAS we measure the association between genetic variants and human traits across 100s of thousands to millions of loci across the genome (focus is gene-trait association). Mendelian randomization is the use of genetic variants as instrumental variables to appraise causality in hypothesized exposure-disease associations (i.e. the focus is the exposure-disease association). Thank you for the correction. I gather that, though GWAS studies rely upon Mendelian randomization, the term “Mendelian Randomization Study” is reserved for a different animal. “Another possibility is that one or more of the SNPs happen to be more common in a segment of the population that is prone to cancer, for whatever reason.” The problem you are referring to is known as confounding by population stratification – the tendency of cases and controls to have slightly different genetic ancestries and which can introduce confounding into genetic association studies. This issue is taken very seriously by genome-wide association studies. We did our best to take this into account. For example, our analyses were either adjusted for principal component scores of genome-wide genetic variation or we found little evidence for population stratification in diagnostic plots (these are standard techniques in the field). However, I agree and acknowledge in the paper that we can’t entirely rule out this possibility. More details in the discussion section of the paper. [Concerning tradeoff between benefit for heart disease and liability for cancer]: We don’t know what the net benefits are at the population level and can’t infer that from our study. This requires detailed statistical modelling of absolute as well as relative risks. This is a computation that I did myself, very approximately, combining risk ratios from the Haycock study with data on death rates from each of the cancers, and from heart disease. The answer that I got was that in the Haycock study, the two effects approximately cancel each other out, but in the epidemiological studies there is a large net benefit from longer telomeres. I didn’t think it worthwhile to do the computation more precisely because the data it relied on was highly uncertain. This study, published just this last summer, claims that, in humans, telomerase levels have evolved to be low and telomeres short, creating an optimal compromise between deaths from cancer and deaths from CV disease. As you have guessed, I’m skeptical. I have staked my career on the thesis that the evolutionary theory of aging on which this paper is based is wrong. However, the paper cites several references on telomere length and cancer which I will read with an open mind. How I see it: Aging is an evolved adaptation. Telomeres are short on purpose, as a clock that regulates lifespan.